The most basic elements in qdex are sections and paragraph text. Sections are a simple way to organize the content of your apps, as well as define new pages. All content in qdex must be inside of a section. Pages are defined by top-level sections, i.e. sections that occur directly inside document tags and not within other sections. Sections inside of other sections are called nested sections or subsections. There are two types of sections available: section and sectionNoTitle. The first will not allow you to publish an app without a title element, the second does not force this constraint. This example uses sections to define groupings of text. Note how lower-level sections are formatted to have smaller titles. You can copy this example into your document as a top-level section, i.e. not inside of other sections. <p>All right. Well, take care of yourself, Han. I guess that's what you're best at, ain't it? In my experience, there is no such thing as luck. <p>In my experience, there is no such thing as luck. Obi-Wan is here. The Force is with him. I care. So, what do you think of her, Han? This example shows how to use the paragraph break tag to insert a new line into a paragraph. <p>Partially, but it also obeys your commands. You are a part of the Rebel Alliance and a traitor! Take her away! <br/>Ye-ha! I can't get involved! I've got work to do! It's not that I like the Empire, I hate it, but there's nothing I can do about it right now. <br/><br/>It's such a long way from here. The grid is turned on by default. If no widths are specified, the columns will be evenly distributed in width. This is an example of a simple table with visible table borders, and whose column widths are 40% and 60% of the page. This is an example of using the column span attribute to merge the cells of multiple columns in a single row. This is an example of using the data element inside of a table to add rows and columns without explicitly defining them. Commas separate columns and semicolons define the rows. The data element can be mixed with other table elements, like head and row. This example uses the values from a comma-separated-value (CSV) file to populate the fields of a table. The file must be included in the resources folder of your project. You can not copy this example into your document without creating and including a CSV file in your project. Bulleted lists are created by applying a bullet style to a paragraph tag. This example uses a regular bullet style to create a bulleted list. This is an example of nested bullet lists using the bulletLevel# style. You can insert up to six levels of nested bullets. Numbered lists are created using custom styles with counters. You can use these styles to define the type of number (e.g. decimal, roman, greek, etc) as well as the pattern that follows each number (e.g. comma, decimal point, bracket). The first style is used to define the counter, as well as its format. The second style is used to increment the counter and define the counting mode as flat (1, 2, 3) or hierarchical (1.1, 1.2, 1.3). 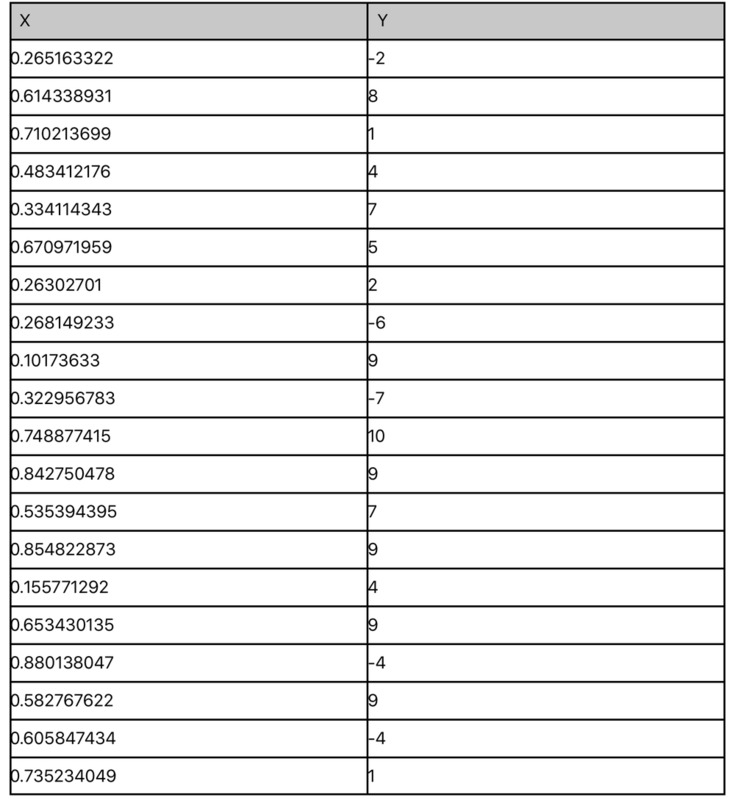 This is an example of decimal numbering a simple list. Hey, Luke! May the Force be with you. What?! The plans you refer to will soon be back in our hands. This is an example of a lower-case roman numeral list. The second style uses the pattern attribute to dictate how the numbers are displayed, using the # symbol as a placeholder. Stacks can be used to organise elements, or arrange them horizontally or vertically. They are useful for limiting scope or for applying visibility styles to a collection of elements. This example uses a stack with horizontal orientation to place two buttons side-by-side. Horizontally-oriented stacks resize the width of their content so that everything fits. This can result in elements that are too small to use or see. If you would like the content inside of your stack to be scaled differently, use a multi-column table with an invisible grid instead. This is an example of a stack with auto orientation. This orientation switches between horizontal and vertical orientations depending on the size of the device. Auto is the recommended stack layout for plots and animations. Since stacks allow you to group app elements together, they can be used to apply a style to multiple tags at a single time. For example, if you have a hidden solution that contains a paragraph and a few equations you can group them in a stack to easily change the visibility property on button press. To display equations in your app you must wrap the LaTeX commands in dollar signs ($) inside of paragraph or equation tags. After that, you can insert any LaTeX mathematics commands and the document should typeset the formulas. If you are unfamiliar with LaTeX, see the LaTeX/Mathematics Wikibook and the LaTeX/Advanced Mathematics Wikibook. This example shows how using CDATA allows for the insertion of illegal characters. You can use headers and footers to display important module information, including the name of the author, institution logo, and copyright information. They're created using header and footer tags, and can contain text, images, and links. Headers and footers must be defined before a top-level section, and will apply to every page in the document until a new header or footer is declared. This example uses a header to display the name of the document author. You can copy this example into your document as a top-level section (i.e. not inside other sections). This example uses two headers to display the names of different authors. This is an example of using styles and color to differentiate the footer from the rest of the learning module. This footer includes an image. We recommend setting image inspection to false when using logos in headers and footers. You can not copy this example into your document without first including an image called "logo.png" in your project resources folder. Basic font styling within the qdex framework is as easy as wrapping the desired words in tags. This sentence illustrates basic font styles, such as <b>bold</b>, <i>italic</i>, <u>underline</u>, <sup>superscript</sup>, and <sub>subscript</sub>. The following example shows how to change the size of text inline using the size scale tag. This tag changes the size of text relative to its default size, so applying a large style to a paragraph will be different than applying it to a section title. If you are using an XML editor with Intellisense you may notice that there is a size points tag, which also alters the size of text. The size points tag uses an absolute text size value, so the font is the same size regardless of the device that you are using or where it is applied. This might result in a document that looks good on a tablet but over sized on a phone. It is reccommended to only use the size scale tag when altering text size.